Hoodie Season and Giveaway with Dogvills! Home » Reviews & Giveaways » Hoodie Season and Giveaway with Dogvills! Hoodie season, my favourite time of the year. Not too hot, not too cold, perfect adventure and dog walking weather.. This is a sponsored post on behalf of Dogvills.com. I only share information on products that I would use for myself, my pets, or believe my readers would find of interest. Opinions do not necessarily reflect those of Dogvills. Speaking of my dogs – as I always do 😉 what a better way to enjoy my favourite time of year by wearing a dog themed hoodie! I was recently approached by Dogvills.com asking if I would like to try out one of their dog themed hoodies. Well they didn’t have to ask me twice! A comfortable pullover hoodie that’s dog themed, sign me up! Dogvills offers a complete line of dog themed products from t-shirts, hoodies, phone cases, gift items and so much more for the dog enthusiast! But when asked to choose a dog themed pullover hoodie from all the available options, it was overwhelming for me – how do I choose just one? Many of my friends, ok, who am I kidding, all of my friends know I’m dog obsessed, so it’s not unusual for my dogs to come up in conversation. But for those who may not know me, I thought this choice of pullover hoodie from Dogvills was perfect! In addition to the perfect saying, “Warning, May Spontaneously Talk About Dogs“, how did my pullover hoodie from Dogvills stand up in quality and comfort? Let’s just say I wish I could have ordered one of each 5 available colours of this pullover hoodie! The Dogvills pullover hoodie is soft, warm and very comfortable. Not one to like a hoodie that is tight or too fitted, I chose size medium and was pleased with the relaxed comfortable fit. There’s no need to worry about cold, windy days with this pullover hoodie! The Dogvills hoodie has a draw string making it easy to keep your hood snug and in place. Get cold hands? Need a place to carry carry those mandatory – clean 😉 poop bags, or house keys while out on a walk? You will find a nice sized pocket pouch on the front of this pullover hoodie for all your necessities – including tissues for a certain puppy that likes to give me lots kisses! Enter for Your Chance to Win with Dogvills! Now, thanks to Dogvills, you can enter for your chance to win one of their dog themed pullover hoodies! No matter what saying you choose, you will be sure to be comfy and cozy during the cooler Autumn days ahead. **Contest is open to Canada (not QC) and US, except where prohibited by law. Must be legal age to enter. Winner is subject to eligibility verification. Void where prohibited by law. Winner has 48 hours to respond once emailed or a new winner is drawn. Only one entrant per ip, per mailing address, per giveaway. 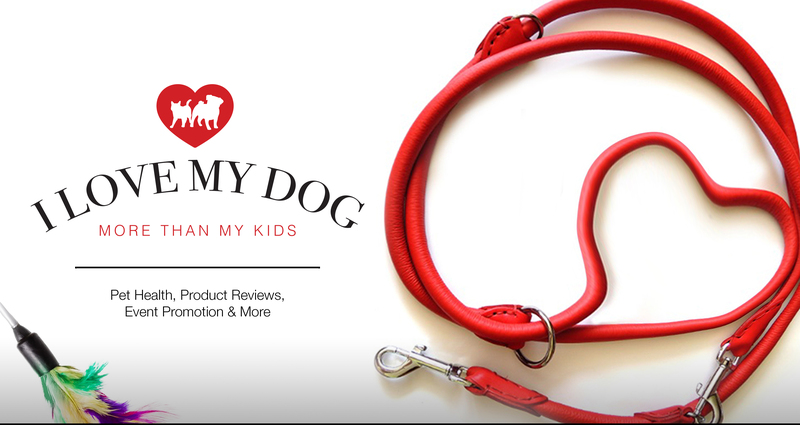 ILoveMyDogMoreThanMyKids.com accepts no responsibility of delivery of prize. The “Crazy Dog Mom” screams me to a T, but the Spontaneously Talk About Dogs is a close second! I just want to say that their line of shirts for deaf dogs is sooooo heartwarming! Great ideas throughought; can really tell there was some dog-gone thinking involved by a bunch of dog lovers 🙂 best pun I had, yeah, it was bad. These hoodies are sooo cute. Thank you for sharing. I would love to win. I love the Stay At Home Dog Mom hoodie! Love so many but want to hug my dog and watch Christmas movies is top of my list! I would choose the Eat Play Bark Repeat: Funny Dog Hoodie. There are a lot of amazing design options! I think I’d go with, dog mother, wine lover! I would have to say I love the one in the pics for the contest! That is so me! LOL May? That would be an inaccurate warning in my case. What a great giveaway! I always like to find T-shirts and hoodies to wear that are related to our pets. If I were to win this, I would give it to my sister who has beautiful Australian Shepherd’s. She lives on a 31 acre farm and needs to be outside taking care of the animals now and this would be perfect for her. I love hoodies this time of year! When you just want super comfy outerwear they’re perfect. They saying on this one is perfect too, I spontaneously talk about dogs too! Big pockets are the best aren’t they? It looks very cozy. I’m also likely to start talking about dogs spontaneously! I totally agree – I looooove hoodie weather! Fave time of year! Those hoodies are so cool. I’d love Motivated by Caffeine and a Husky (or Canine), Husky Squad, or the Husky Merry Christmas tree! So hard to choose! Love them all! Thanks for hosting this great giveaway! LOL Love the photos with your dogs AND this hoodie. Very clever message. I’ll have to share with my peeps! I would pick the I kissed a dog and I liked it, I have said this many many times. So cute! I would love cat versions of those. The hoodie is just adorable! It would make a great gift for a few of my friends. Dogvills has such great products! That is a great hoodie! It looks very comfortable and warm, but the caption is my favorite part. How cool I love hoodies and better if are themed with pet related messages. Your design is very cool I hope to get to win one =) Your pictures are adorable too. Hoodie weather is my favorite too! I was so happy when it finally got cool enough here to break out my hoodie collection. The one you picked is so cute. I for sure spontaneously talk about my dogs…probably a little bit too often but oh well. Such a great line of fabulous dog themed items. Can’t imagine which one I’d pick, but I do think the spontaneously talking about dogs suits me because it seems like I always end up talking about him no matter what! I love hoodies. That’s a great saying, I break into dog talk all time LOL! Cute holiday designs in your collection too. SO many great designs. I want them all! I lost my deaf hound girl, Ran, about 3-1/2 years ago (and it still hurts horribly). I love that they have shirts with deaf dog themes. I’m tempted to choose one of those, but I think I’d go with the Tricks for Treats Dog Lovers Halloween Design. Such a cute idea – and great design! I think I would choose the Love with Dog Paw & Red Heart Hoodie. It is one of my favorites. I would pick the warning may spontaneously talk about dogs one because it is so me.